Our first fall course session begins September 12, so now is the time to register! Start the year with a renewed commitment to your career and your students, and gain relevant skills you can immediately apply in the classroom. For your convenience, we are also offering two additional course sessions this fall. Enrich learning and teaching in your child care program with online courses from MPT. Family and center-based providers can earn MSDE-approved clock hours from the comforts of home or anywhere there is internet access. Our convenient, self-paced courses fit into busy schedules and provide resources and training you can immediately put to good use in program settings. Children are using media and mobile devices like never before, and there is a real difference between using them to deliver quality educational media or simply using them to pass the time. Our new interactive module is designed to help child care providers use technology as a tool to provide active, developmentally-appropriate learning opportunities. You will also learn strategies to develop an effective screen time policy in your child care program. 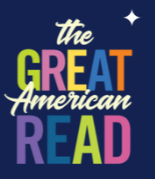 We are counting down the days to the highly anticipated series broadcast of The GREAT AMERICAN READ. While you are anxiously awaiting the fall episode premiere, you can still cast a vote for your favorite novel from the list of 100 books chosen by the American public. Get your students and children involved in the flurry of excitement with a range of activities that are certain to increase their love of reading. Discover how researchers on the cutting edge of mind-control can implant, change and even erase memories. On this thought-provoking journey into the mind, NOVA investigates the mysterious nature of how we remember. Extend learning into the classroom with a video and teacher support materials. Visit Thinkport for more activities, resources and media for the classroom!